Kharkov is a modern european city that combines industrial strength, advanced infrastructure, an abundance of parks and beauty of the architecture. 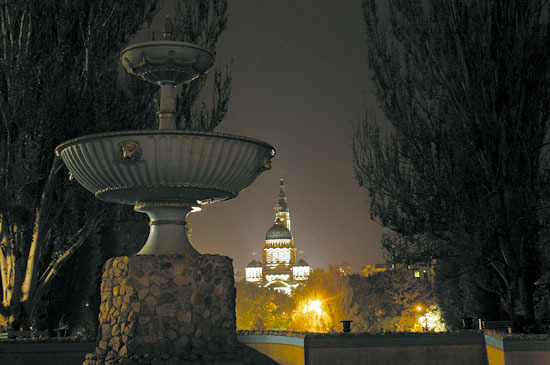 The fountains «Mirror stream» and «Cascade», Blagoveshenskiy Cathedral, Svobody Square, National state universuty named by Karazin, dolphinarium «Nemo», Сhildren’s railway, reconstructed central park – this is only a small part of what should be proud of our city. Visit an Official Site of Kharkov City Council to learn more about the city's attractions and other useful information.